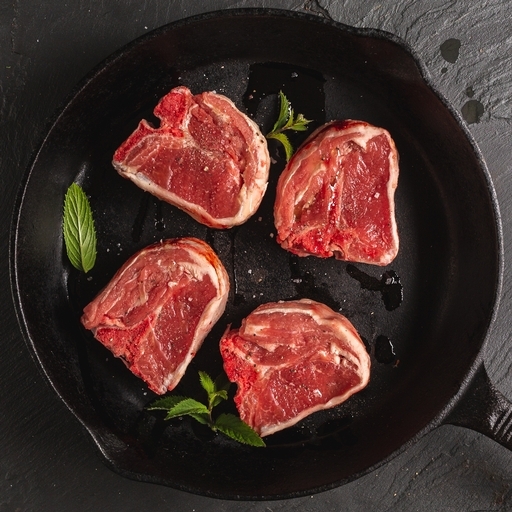 Fresh organic lamb loin chops from the Riverford butchery. We cut them with the bone in so they stay ultra juicy, tender and full of flavour. Grill, griddle or fry in minutes, for a special but really quick dinner, and set off their luxuriance with mint, caper sauce, harissa or salsa verde.